You need to insert an intern name! This and the following items will be deleted. Right click on the box to start creating an advancement! If you choose a name, you can't change this name easily afterwards. Don't use spaces! The sorting of the items is simular in Minecraft, but not the same like in the example above. When a player breeds 2 animals. When a player removes an item out of a brewing stand. When a player switches to another dimension. Triggers after the player reached a beacon with the specified tier. When a player throws a potion on an villager/zombie-villager and the villager/zombie-villager converts into an zombie or back to a villager. When a player gets a potion effect applied or taken from them. 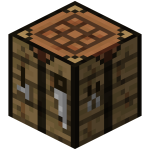 When a player enchants an item in an enchanting table. When a player stands IN a block. When a mob kills a player. Triggers only when the /advancement command is executed. When a player updates his inventory. You can only use the Item OR the slot! Both does not work at the moment! occupied: Number of slots that have an item in it. full: Number of slots that have item with full stacks. empty: Number of empty slots. Checks the durability from a item. When a player is under the levitation potion/effect. Check the position of a player in the world. Info: You don't need to specify all axes. When a player places a block. When a mob damages a player. When a player damages a mob. When a player kills an entity. When a player unlocks a recipe. When a player sleeps in a bed. When a player creates an entity. When a player tames a animal. Triggers every tick. Useful for the command rewards. Needs to revoke to work also in the next tick! When a player throws an Eye of Ender. When a player trades with a villager. Want to create your own recipe? You can also unlock them! Create your own crafting recipe with the Crafting generator! A function to run. 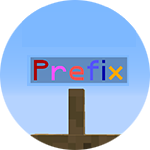 Functions are text files with the file extension .mcfunction in .minecraft\saves\XXXX\data\functions\ and can contain a list of commands to run in order. Found a bug on your site! Please tell me the bug and, if possible, send me the advancement.zip to my email: hey@commandcreator.com. Thanks! I have pasted the folder to the right directory, but nothing is shown! Every Item needs at least one Trigger. To see the tab you must execute the trigger of the first item. Also, every item needs an Item and Title!